To promote her new film 'High Life', Juliette Binoche attended the photocall yesterday(September 27th) during the 66th San Sebastian International Film Festival in Spain. 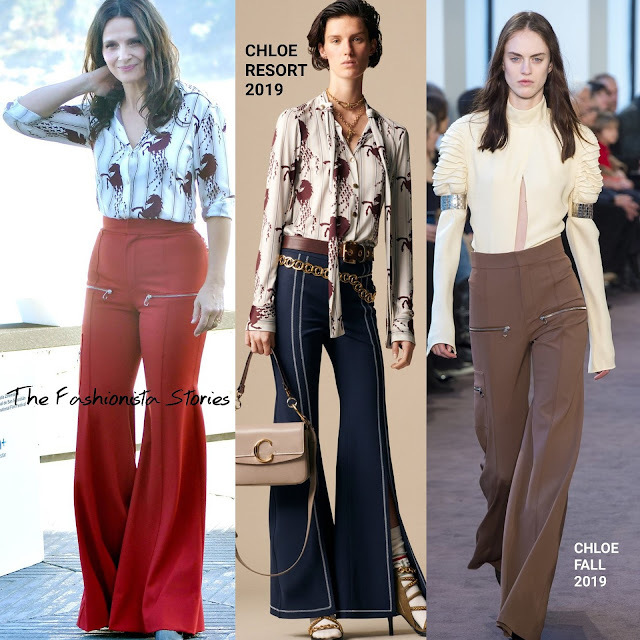 Turning to CHLOE, she wore a red & white horse print button down shirt from the RESORT 2019 collection and red zipper detail, wide-leg pants from the FALL 2018 collection. This casual, retro inspired ensemble worked perfectly for the photocall.